The automatic dialers or auto dialers have transformed call center operations in a short span of time. As the name suggests, automatic dialers are outbound calling systems with the capability to dial from a list of telephone numbers, automatically. Also, new age automatic dialers can be described as a specific type of computer telephone integration software. In addition to dialing multiple numbers automatically, the auto dialers can also ascertain if the outbound call is being answered by a live person. They can detect disconnected calls, answering machines and busy tones intelligently and automatically. When the call is answered by a live person, the software route the call to an available live agent or provides a set of self-service options. The sophisticated automated dialing solutions even come with features to transfer calls between office phones and mobile phones seamlessly. At present, call centers leverage auto dialers to improve agent productivity, generate more leads, and also manage multiple marketing campaigns. Also, automatic dialers are currently being used widely for political campaigns, service notification delivery, event notification delivery, and press 1 campaign. While using an auto dialer, a user has options to choose from different types of automatic dialers and automatic dialing technologies – predictive dialers, preview dialers, and power dialers – according to precise telecommunication needs. However, it is important for both individual and enterprise users to understand some of the major benefits of auto dialers. The automatic dialers help businesses to refine their call center operations. 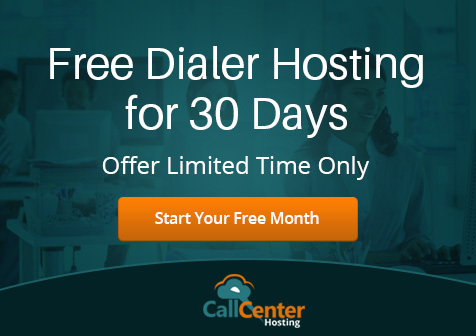 Many call centers even leverage auto dialer software to overcome major shortcomings of manual dialing – call drops, misdialing and additional wait time. As noted earlier, the automatic dialing software detects busy tones, unanswered calls, disconnected calls, answering machines, and voicemails accurately. They route only connected calls to call center agents. Also, the outbound calling solutions provide callers with a myriad of self-service options. The call centers are switching from manual dialing to automated dialing to improve agent productivity and efficiency. In addition to dialing phone number automatically, this is how software routes only connected calls to the agents. Hence, the agent talk time and call connect ratio increase, simultaneously. The businesses can further use progressive dialers to curtail wait time between calls and connect the agents with the customers with some information in hand. Likewise, they can leverage predictive dialers to connect live callers to agents who are available to handle the next call. Predictive dialer uses the average handling time of the agents to improve the calling process. Along with maximizing agent utilization, auto dialers also help managers to bring down agent idle time significantly. The agents can spend more time to interact with customers and drive sales without wasting time in handling disconnected calls, unanswered, and busy calls. The auto-dialers have the capability to differentiate between productive and unproductive numbers. They route only answered calls to live agents. The predictive dialers even check agent availability, and route answered calls to agents who are free to handle the next call. The sophisticated automatic dialing solutions are designed with a capability to detect unproductive numbers like do not disturb (DND) and fax lines. A business can integrate the cloud-based auto dialers seamlessly with its customer relationship management (CRM) system. The integration will enable the software to detect and filter unproductive numbers based on updated customer data. The DND filtering feature further saves the time and effort wasted on calling these unproductive numbers. The businesses can use auto dialers as a robust tool to generate more leads. As the software reduces agent talk time, it becomes easier for telemarketers to interact with more customers and meaningful prospects. The sophisticated automatic dialers even facilitates customer information collection by providing a set of self-service options. The managers can further simplify lead generation and management by importing contacts from various sources. They can further leverage auto dialers to generate more new and promising leads by increasing number of call connections. In addition to generating more leads, auto dialers also help marketers to enhance lead conversion rate. The new age automatic dialers come with features to facilitate time zone management. The feature enables marketers to set and adjust time zone for each marketing campaign. The managers can leverage the feature to call the right customer at the right time. They can further change and adjust the time zone through a simple and interactive dashboard. The latest auto dialing solutions feature user-friendly interfaces. The interfaces help manager to generate a variety of reports based on real-time data. The managers can monitor call center activities and measure agent productivity by checking real-time reports on a regular basis. They can assess call quality level and agent skills by evaluating both live and recorded calls. Hence, auto dialers make it easier for managers to streamline call center operations by taking the right decision at the right time. 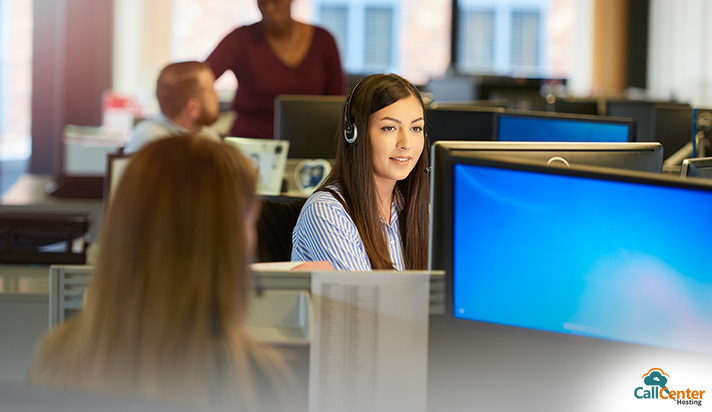 The self-service options provided by auto dialers enable customers to gather information about a product or service without interacting with a live agent. These options further help businesses to generate qualified leads by allowing customers to interact with a live agent after playing a recorded audio file. The callers can further interact with a live agent simply by pressing the appropriate button. The businesses can launch press 1 campaigns to promote products/services, generate more relevant leads, and increase sales conversion. A business can use auto-dialing solutions to conduct market research and promote products/services. The sophisticated auto dialers even come with features to help businesses to run and monitor multiple marketing campaigns. They allow managers to generate and check campaign reports without putting extra time and effort. The managers can refer to the latest campaign report to assess performance of individual marketing campaigns based on specific criteria and considering some specific goals. The individual and enterprise users can take advantage of automatic dialers for varying purposes. But it is always important for the user to pick the right automated dialing solutions. The users must compare the auto dialers according to their precise telecommunication need to take advantage of the outbound calling systems fully. What Type of Outbound Dialers Does Your Call Center Need and Why? How to Set Up a Cloud Hosted Call Center?